VANCOUVER, B.C. (September 4, 2018) – Rolls-Royce Motor Cars Vancouver, part of OpenRoad Auto Group, will publicly debut the luxury auto maker’s most anticipated new model of all time, the Rolls-Royce Cullinan during Luxury & Supercar Weekend, September 8 and 9th at VanDusen Botanical Garden. Select media are being invited to preview the event on September 7th from 11:30 to 1:30 pm. Interviews will be available with Steven Wu, Rolls-Royce Motor Cars Vancouver Brand Manager in Mandarin and English at 12:00 PM. 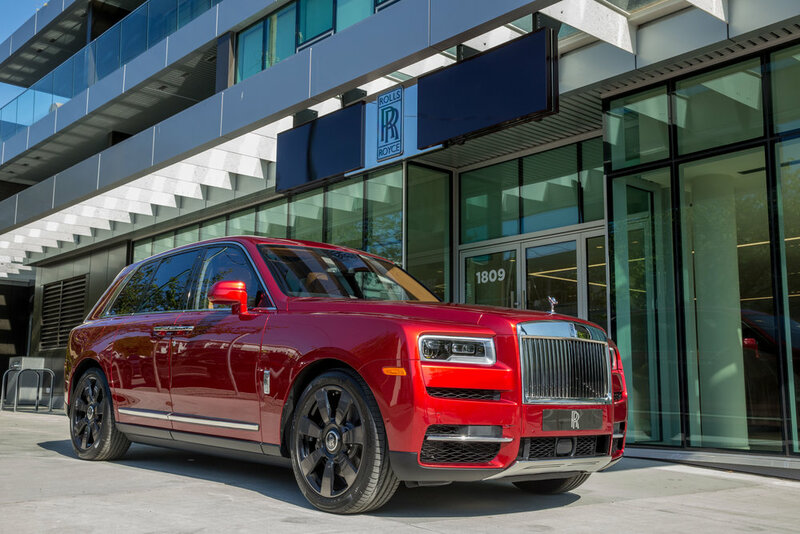 In May 2018, OpenRoad Auto Group opened the new Rolls-Royce Motor Cars Vancouver dealership located at 1809 West 5th Avenue on Vancouver’s west side which replaces the former dealership located just a few blocks away. The 4,500 square foot, two level luxury automotive retail centre offers an elegant showroom featuring high end finishes, premium architectural details and space for up to six Rolls-Royce models. The new dealership is currently the only stand-alone Rolls-Royce dealership in Canada. All other Canadian stores combine Rolls-Royce with other luxury car brands like Karma or Lamborghini. Rolls-Royce Motor Cars Vancouver is currently the top Canadian volume dealer and one of the top selling Rolls-Royce dealerships in the world. OpenRoad Auto Group acquired the Vancouver Rolls-Royce retail store in 2014, and just last year purchased a second Rolls-Royce dealership in Bellevue, Washington along with an established Bentley and Lamborghini retail facility. OpenRoad Auto Group is B.C. 's largest automotive dealership group with over 1,200 associates representing 19 quality automotive brands at 23 full-service car dealerships. Established In 2000, OpenRoad Auto Group offers car buyers and owners an experiential automotive retail service. With sales and service in multiple languages, OpenRoad Auto Group encourages a car buying experience based on openness, participation and expertise. OpenRoad is proud to be one of Canada’s Best Managed Companies, a CADA Laureate, and the recipient of multiple Canadian Best Employer Awards. openroadautogroup.com. May 30, 2018 (Surrey, B.C.) 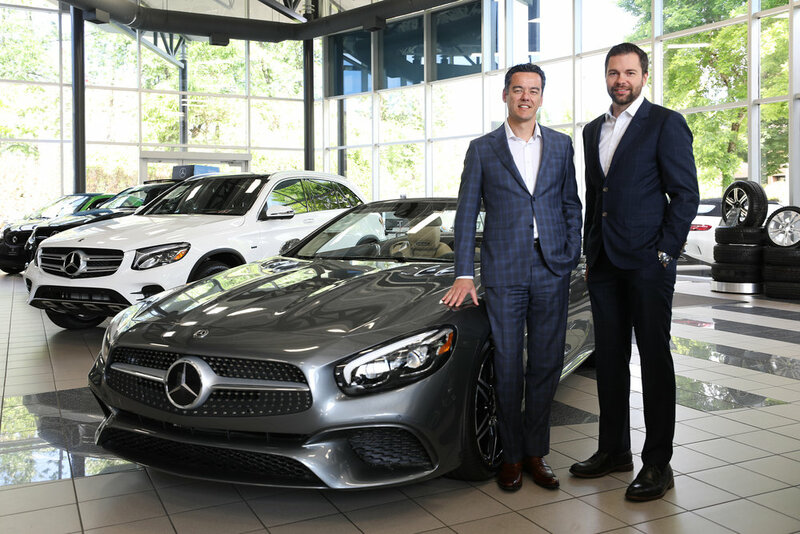 – OpenRoad Auto Group, B.C.’s largest automotive retail group, is pleased to announce the acquisition of Mercedes-Benz Surrey. This newest addition to the OpenRoad family is the company’s first Mercedes-Benz store. Formerly owned by Silverstar MB Inc, Mercedes-Benz Surrey first opened in 1999 on Fraser Highway and later moved to its current location at 15508 104 Avenue in Surrey in 2002. “Mercedes-Benz has always been an aspirational brand for us, so to be able to partner with Mercedes-Benz Canada to represent one of the most premium automotive companies in the world is a very exciting opportunity for us,” said Christian Chia, President and CEO of OpenRoad Auto Group. The sales and service team from Silverstar MB will now be led by seasoned automotive professional, Jeremy Schaab as the incoming General Manager of the newly named Mercedes-Benz Surrey. OpenRoad is excited to announce that it will provide enhanced valet service throughout Surrey and White Rock. The company will also introduce its signature Club OpenRoad loyalty plan to Mercedes-Benz Surrey, a program that offers exclusive perks and will allow customers to apply points earned through servicing towards the purchase of future new Mercedes-Benz vehicles. OpenRoad Auto Group is B.C. 's largest automotive dealership group with over 1,200 associates representing 19 quality automotive brands at 23 full-service car dealerships. Established In 2000, OpenRoad Auto Group offers car buyers and owners an experiential automotive retail service. With sales and service in multiple languages, OpenRoad Auto Group encourages a car buying experience based on openness, participation and expertise. OpenRoad is proud to be one of Canada’s Best Managed Companies, a CADA Laureate, and the recipient of multiple Canadian Best Employer Awards. www.openroadautogroup.com. VANCOUVER, B.C. (May 17, 2018) – Rolls-Royce Motor Cars Vancouver, part of OpenRoad Auto Group, marked the official grand opening of the venerable brand’s new Vancouver showroom, Canada’s first stand-alone Rolls-Royce retail facility. 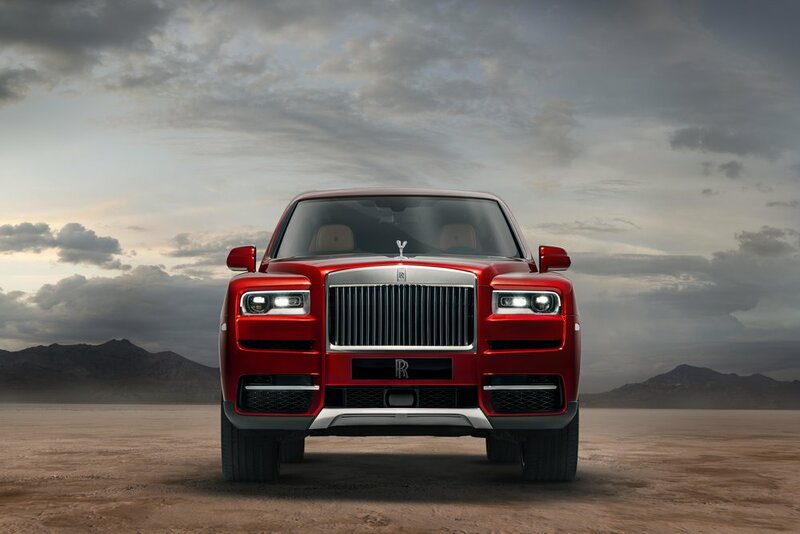 The official unveiling of the luxury auto maker’s most anticipated new model of all time - the Rolls-Royce Cullinan took place during exclusive events for both media and clients, marking the first time the luxury auto maker has held a new model debut in Canada. OpenRoad Auto Group’s new Rolls-Royce Motor Cars Vancouver is located at 1809 West 5th Avenue on Vancouver’s west side and replaces the former dealership located just a few blocks away. The 4,500 square foot, two level luxury automotive retail centre offers an elegant showroom featuring high-end finishes, premium architectural details and space for up to six Rolls-Royce models. The new dealership is currently the only stand-alone Rolls-Royce dealership in Canada. All other Canadian stores combine Rolls-Royce with other luxury car brands like Karma or Lamborghini. Visit the Rolls-Royce Motor Cars Press Club at www.press.rolls-roycemotorcars.com for the full Cullinan press kit. For details about Rolls-Royce Motor Cars Vancouver, visit www.rolls-roycemotorcars-vancouver.com. Event photos are available by request.